Welcome to the organ page! On this page you will find details, pictures, specifications and audio clips of organs which I have been associated with. 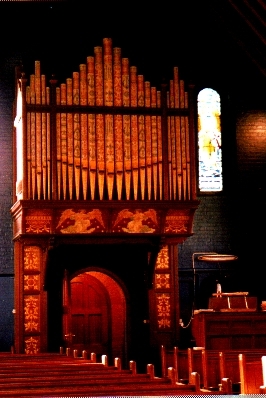 The organ was built by Norman & Beard in 1908 and was orginally installed in a church in east London. Click on the radio icon above to go to my directory of other organ and choral radio programmes which broadcast over the internet. 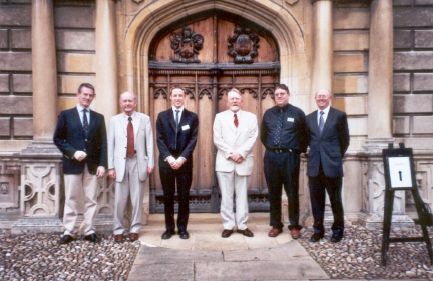 On June 30th, on the occasion of the 2007 Peterhouse Society Annual Gathering, six former Petrean organ scholars gave the premiere of Barry Ferguson's "Peterhouse Chapel Windows Suite". Ferguson, former organist of Rochester Cathedral, was inspired by the Chapel's stained glass and wrote a ten-movement work. 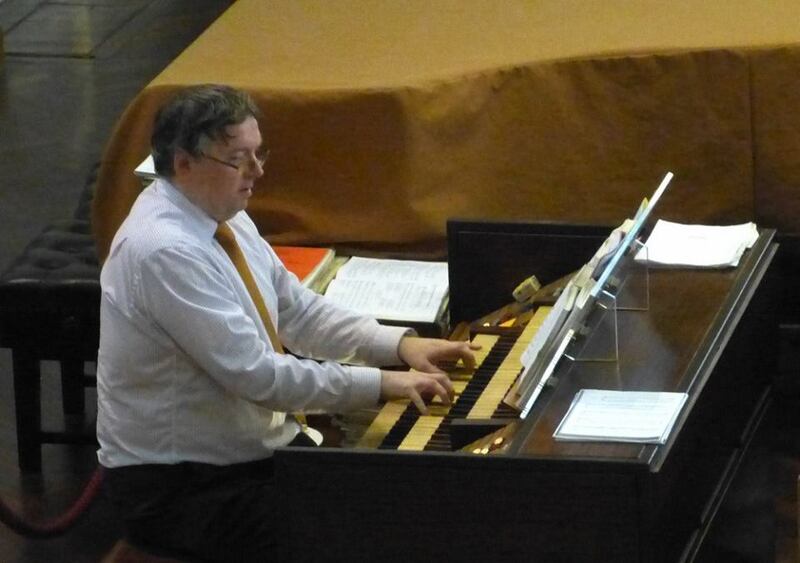 I was honoured to perform the second movement - "The Sacrifice of Isaac". Pictured above (left to right): Andrew McIntyre (m1974), David Lee (m1953), Mark Rowland (m1999), Barry Ferguson (m1960), Mark Hammond (m1983), Tim Hone (m1976). This instrument is a 1962 3-manual Harrison & Harrison incorporating pipework from earlier organs - Hill (1861), Abbott & Smith (1908) and probably an Open Diapason from a 1670 Father Smith. Recorded at a live Evensong on 9th November 1988 at St Alban's Abbey, Hertfordshire. Mark Hammond - organ. 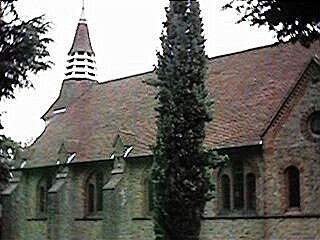 Taken from the CD "The Chapel Choir of St Margaret's School, Bushey" © 1988. The organ was originally built in 1900 subsequent to the construction of the chapel. The builders were F H Browne & Sons of Deal, Kent. 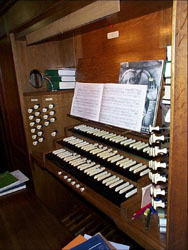 The instrument has been subsequently re-built twice, in 1968 by Peter Collins and in 1981 by Martin Renshaw. 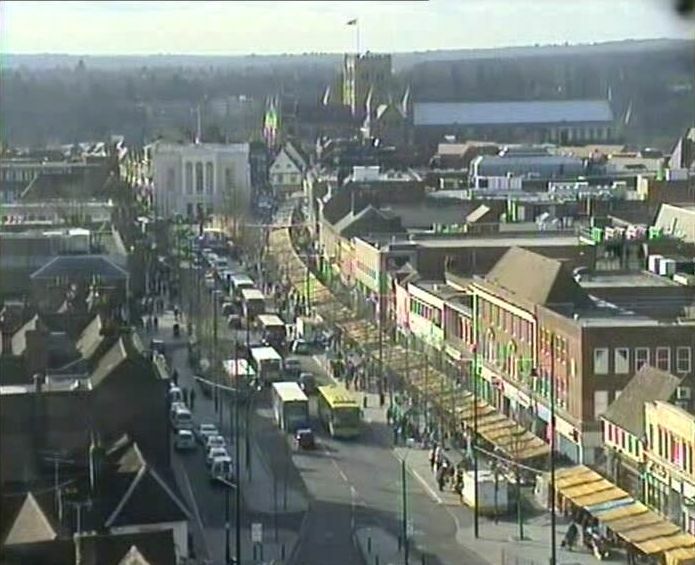 It is currently in need of some attention and it is hoped to re-build to coincide with the school's 250 years' anniversary which is being celebrated in 1999. The action was originally tubular pneumatic which was replaced in the 1981 re-build by electric action connected to the original pneumatic action. The case and much of the pipework date from Snetzler’s 1765 organ. Unit chests electrically operated tracker action to manual soundboards. Electro-pneumatic action to stops and accessories. The account book for the building of the new Peterhouse chapel (1628-32) records that £140 was spent on an organ. 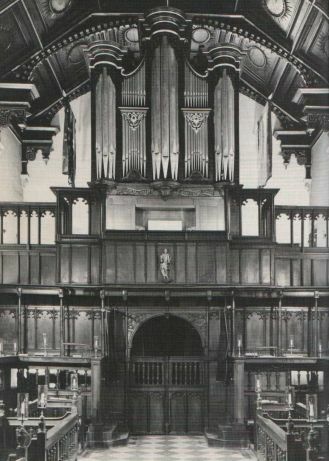 It is not known who built it or precisely when it was installed, but it may be assumed that this organ played its part in the choral services which flourished in the chapel during the years preceding the Civil War and to which the surviving Peterhouse part-books bear witness. Evidently the instrument was dismantled soon after the War began and was stored in the college library. The Fellows eventually despaired of a return to the old pattern of worship and sold the organ to Mr Gregory Hardwick, a citizen of London. 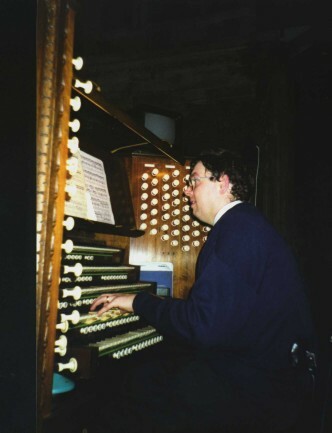 "Mr Peas" took the organ, together with "the remaining pipes of Our Hall Organ" to London and set it up there. When the prayer book was restored in 1660 the college attempted to recover the organ from Hardwick, and when he proved uncooperative, considered taking him to law. It is a measure of the college’s success that in 1666 the chapel was still without an organ. Shortly after this an instrument was purchased, and the accounts for 1666-7 record the first payments to an organist and a bellows blower. No details have emerged concerning this organ but annual payments for maintenance suggest that it may have survived until displaced by Snetzler’s organ. John Snetzler built his new organ for Peterhouse in 1765: the case still bears the date and the name of the donor - Horatio Mann. It was a 2 manual instrument with nine stops on the Great (including a Mounted Cornet) and a second manual consisting of a combined Choir and Swell, each with 4 stops. Avery added a few unison (8’) Pedal Pipes in 1804 which sufficed until 1852, when William Hill replaced Avery’s work with a German Pedal board of 27 notes and complete rank of 16’ open wood pipes. Hill’s returned in 1894 to carry out a conservative rebuild retaining the "old black keys" and most of Snetzler’s pipes. The Swell was rebuilt on modern lines with a keyboard to itself, the compasses were reduced to C, and 2 further Pedal stops were added. Why not check out my Trumpet & Organ and Choir pages? If you're interested in how I streamed the audio then click here .